The best part about all of these games is that they are easy to prep!! 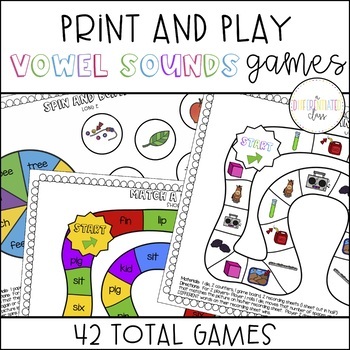 All you need to do is print, laminate (if you wish) and play! 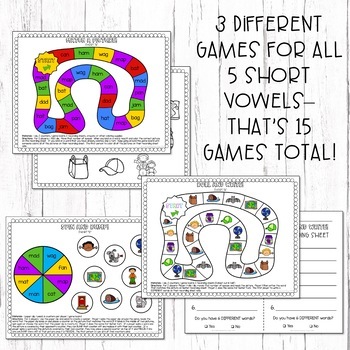 Plus, you don't need anything fancy to play them... Just counters/game pieces, dice, paper clips (to use as a spinner), pencils and coloring supplies like crayons! 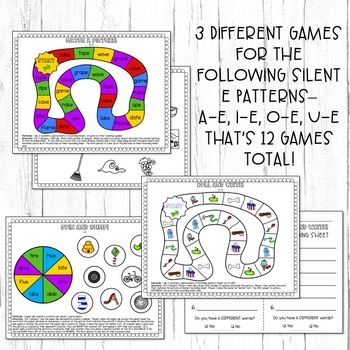 Because these games come as a bundle, you can easily differentiate your reading and spelling instruction in your classroom! 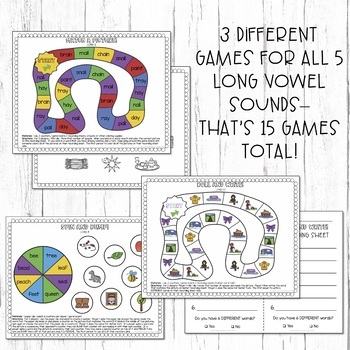 Different groups of students can play the same games but with different levels of words!! I love feedback, so please rate this resource and leave a comment after purchasing! Plus, you'll earn TpT credits that you can use toward future purchases!